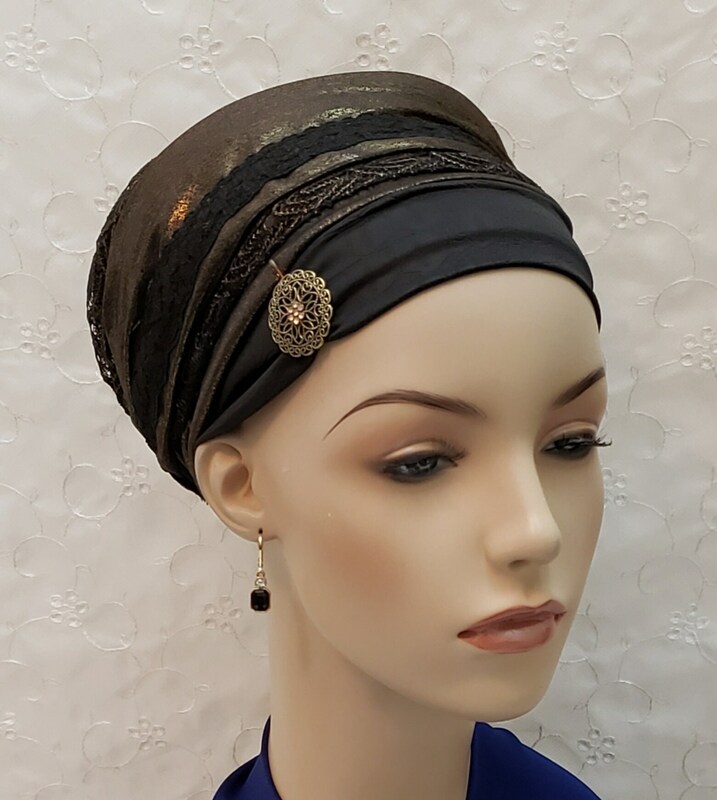 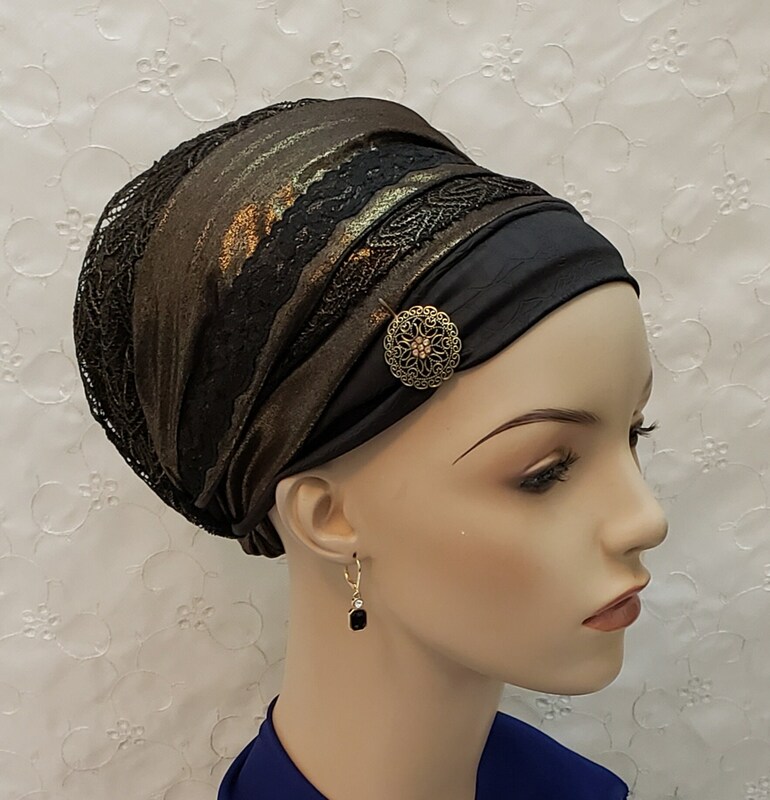 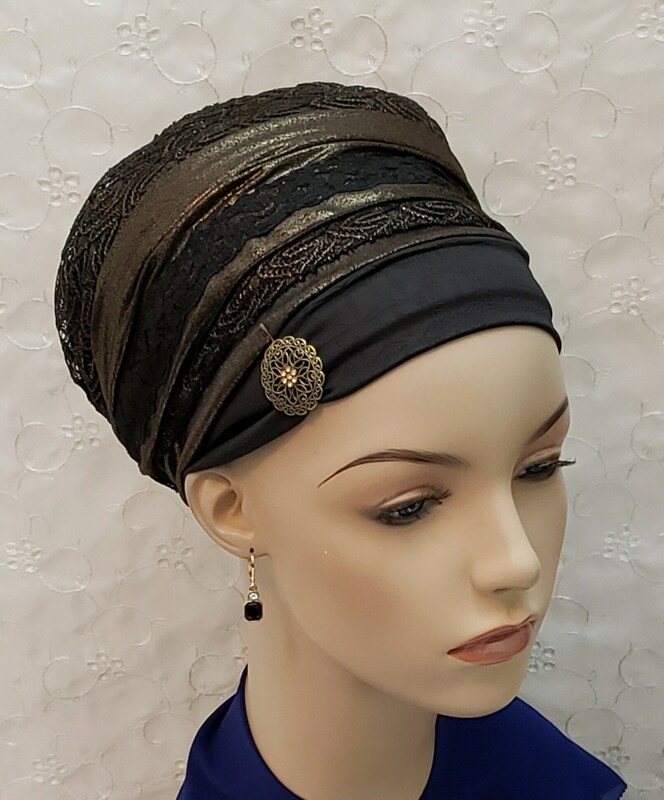 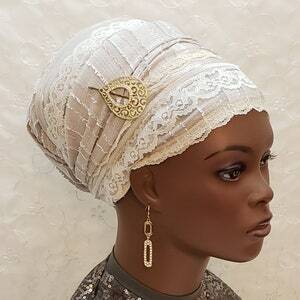 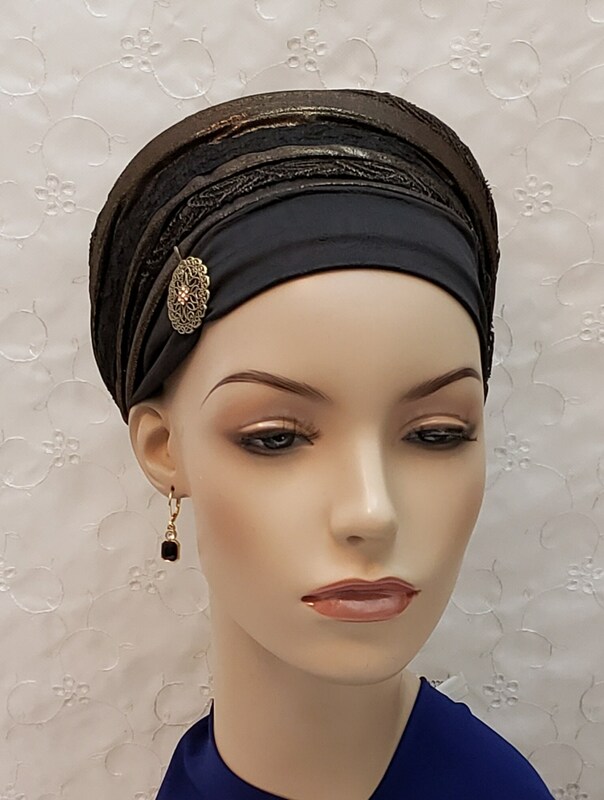 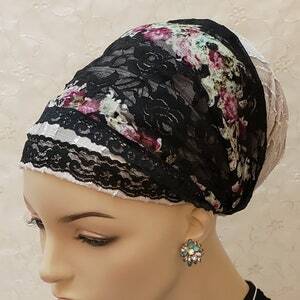 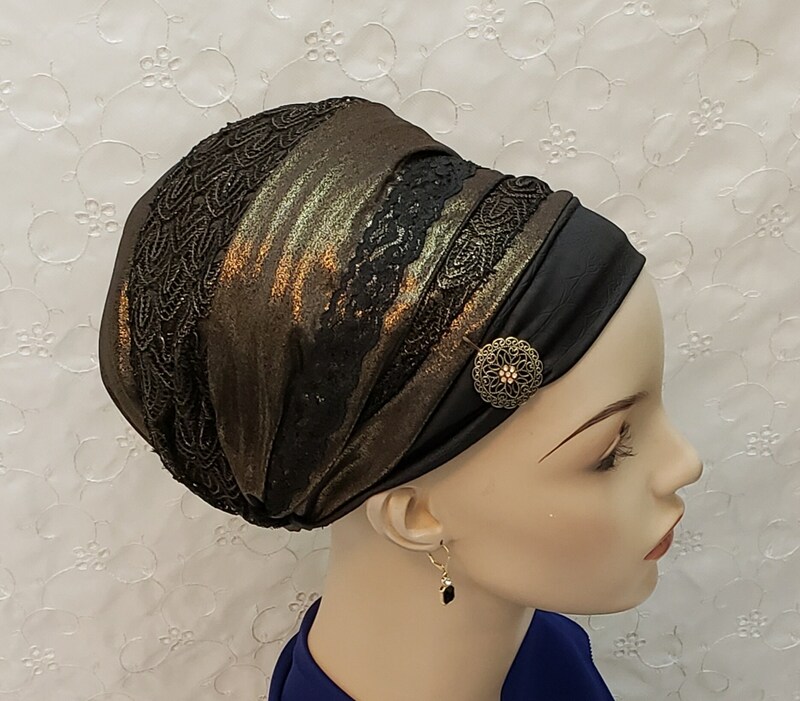 Unique and luxurious gold and black lace sinar tichel with accent pin. 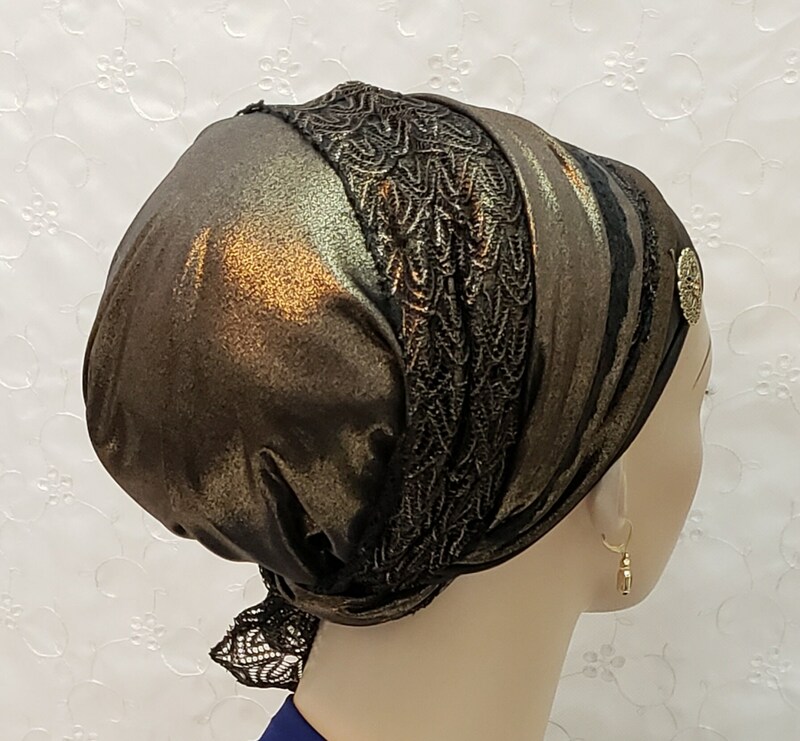 Luxurious antique gold fabric wrapped with a stunning and unique black and gold lace in a baroque pattern. 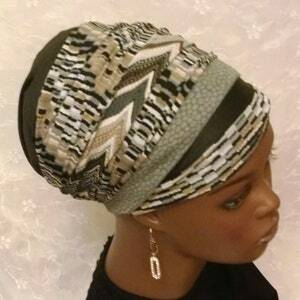 A touch of lightweight stretchy leatherette adds further texture and sophistication. 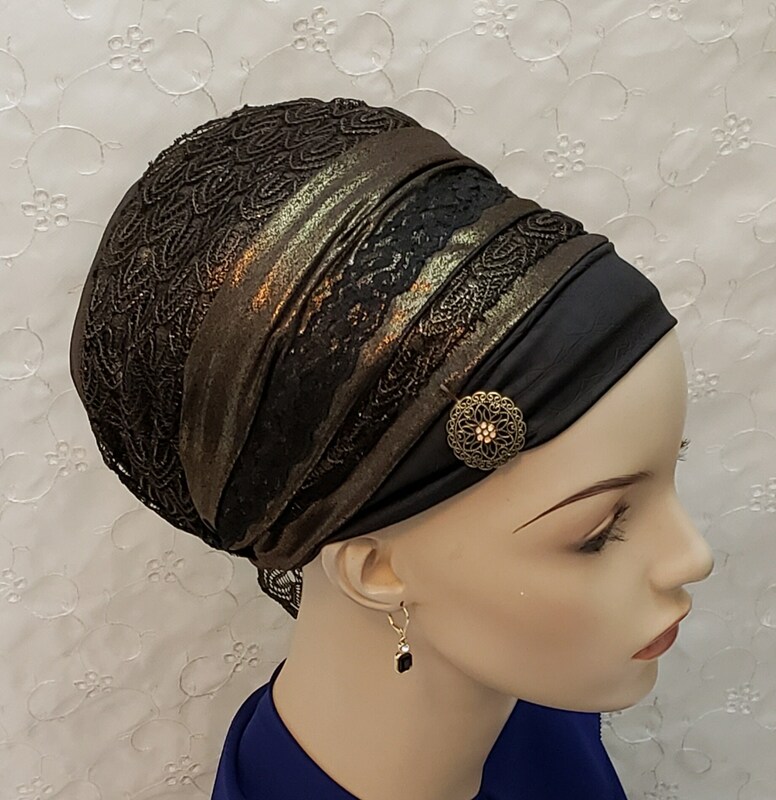 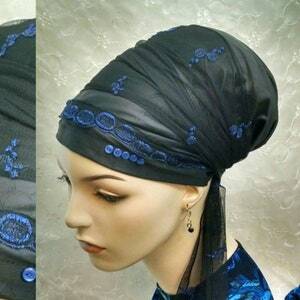 Perfect for Shabbat, weddings and other special occasions.